Schedule Notes: Class will meet Mon-Sat for two weeks (03/11 - 03/23). Class will begin PROMPTLY at 8:00 AM every day. Class will dismiss at APPROXIMATELY 4:30 PM on weekdays, and 12:00 PM on Saturdays (give or take 15 minutes). There will be two 15-minute breaks and an hour lunch break each weekday (lunch not provided), and one 15-minute break each Saturday. 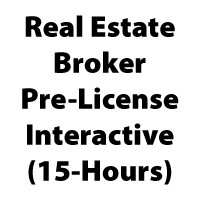 Full Description: This "FAST-TRACK" course will satisfy the entire 90-hour State of Illinois requirement for real estate broker pre-license coursework. 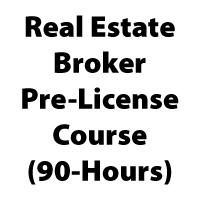 Upon completion of this course, students will be eligible to sit for the Illinois Real Estate Broker license exam. Being a "FAST-TRACK" course, all 90 hours will be completed in two weeks time (see downloadable schedule, below). *NOTE: The $650 price listed reflects a $50 "early bird" discount for registrations received on or before February 22, 2019. The price for registering after February 22, 2019 is $700.